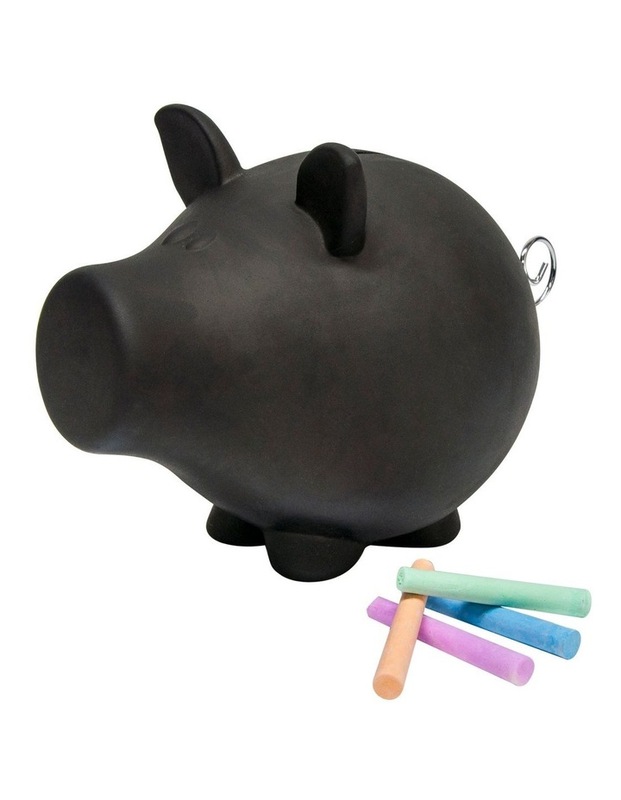 Salt&Peppers OINK Money Box is a stylish edition to any childs room and prove that pigs can fly! The 23cm money box, made from ceramic, has a unique blackboard finish so you can display your own creation! Each money box comes with 4 chalk sticks. Have some fun, put some Oink in your life! Salt&Pepper is Fashion For Your Home.